I posted some photos of a beautiful stained glass window depicting St. Ann(e) on Instagram earlier this evening (here and here), and found it notable that “St. Ann” was written beneath her image, and then “In memory of Mrs. Anne Quinn” — both spellings on one window. So I asked how many prefer Ann or Anne and have gotten several responses (Anne by a landslide, which was my grandmother’s spelling, and the one Anne Shirley vastly preferred, and the spelling I always unconsciously default to, though I’m delighted that one follower let us know her middle name is Ann, which is the spelling of my best friend from growing up’s middle name, and she’s an amazing person, so — good company!). I also posted a poll to Twitter and so far everyone’s voted for Anne (three people). I looked them up, and Anne is the “French form of ANNA. In the 13th-century it was imported to England, where it was also commonly spelled Ann.” Indeed, Ann is described as the “English form of ANNE (1). In the English-speaking world, both this spelling and Anne have been used since the Middle Ages, though Ann became much more popular during the 19th century.” I checked out the Dictionary of Medieval Names from European Sources to see if there was additional info, and discovered the name Tanneken! It’s a diminutive of Ann(e) — I’m loving it! It’s totally the kind of nickname/diminutive that I go nuts for. Any of you who haven’t yet commented on IG or voted on Twitter — which spelling do you prefer and why? Do you reserve names for later use? The consultation I posted on November 23 was for a family that had picked out Felicity for a girl — a beloved name, full of meaning for them — only to discover they were having a boy. Grace commented, “My suggestion is Felix! Since she was really excited about Felicity’s meaning and saintly pedigree, Felix really seems the perfect alternative to me! Popular in the UK, Spain, and Germany, it definitely has a hip, continental thing about it while not being unusual or hard to pronounce, and the x-ending makes it flow very well into middle names beginning with either a vowel or a consonant! I think it’s super awesome for them,” which several of us agreed was a great suggestion. I have a small example of that in the naming of my own kids: The first name we decided on for a girl has been the same through all my pregnancies — it’s an honor name for my mom and my grandmother and it won’t change. The middle name has changed several times though, most often in order to honor my mother-in-law in different ways; we’ve also discussed variants of her name as a first name possibility for a second daughter. Then we decided to give our youngest boy a first name that was a variant of my mother-in-law’s name, which knocks out of consideration the variants of her name we’d considered for a first name for a girl. I felt the tiniest of twinges at our decision but really. Six boys, no girls — holding a name in reserve for a second girl seems kind of silly when a first girl hasn’t happened and may never. Also, like Sarah said, I love the male variant we chose for my youngest, so I don’t really miss the possibility of using the feminine variants. I’d love to know what the rest of you think! Do you/have you/would you save names for future use that knock possibilities out of consideration for this baby right here right now? I know we all totally get it. The names of our faith absolutely help us know who to turn to in the bad times. I hope Advent has started in a wonderful and blessed way for you all! Bonus (pseudo) consultation, and happy Thanksgiving! Isn’t this just one of the very best times of the whole year? I love Thanksgiving — it’s the beginning of the holiday season; I get to see family that I don’t usually get to see; we get to eat a lot of really good food; and everyone says really wonderful things about how grateful they are for the blessings in their lives. What a good and holy way to spend our time and orient our thoughts! I won’t be posting any more this week — I’ll be back on Monday with a new consultation — but I wanted to leave you all with this amazing little gift we’ve been given: I received an email a couple weeks ago from a reader who is very much like I was at her age — she loves names, especially the names of our faith, and wanted to share with me the names of her and her eight siblings. She also issued a name challenge for me, if God were to ever see fit to send them a #10. “My name is Pauline and I am a recent graduate of Benedictine College. And while I’m nowhere near expecting a baby, I read your blog every day for future name ideas (what girl doesn’t? Isn’t it like having a pinterest wedding board?). Oh, and so does my mom. Speaking of my mom, I also happen to be the oldest of nine children. My mom’s name is Beatrice and she was born and raised in France until she met my American dad when he was studying abroad (so romantic, I know) and they got married and moved back to the states where they had nine children (it’s casual). My dad (Patrick) is very Irish and my mom is clearly as French as you can get, so they decided on a system for naming. My dad got to name all of the boys Irish names and my mom got to name all of the girls French names. “All of the girls have the middle name Marie for Our Lady but it is also a French tradition- even my mom’s Grandfather had the middle name Marie! 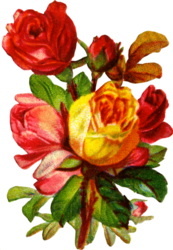 St. Therese’s family had five girls and they all had Marie in their names as well. Another French tradition is to have your grandmother’s name in your middle name. It is not uncommon for people to have two or more middle names! Being named after a saint is beautiful and important, but my mom is also firm believer that even if you aren’t directly named after a saint, you have the opportunity to be the first saint with that name! I love it and totally agree. I just can’t even tell you all (though I know you probably feel similarly), I walked around for days after getting Pauline’s email with a big goofy smile on my face, just thinking and thinking about their names. They are, each one, so beautiful! I claim a small bit of French ancestry but I don’t really know much about their naming traditions or practices — most of what I know I learned from Pauline! But I’ve always loved that the French seem much more comfortable with hyphenated double names than we do (see Florie-Ann), and I’ve always loved the ones starting with Marie. Marie-Bernarde was one of my first thoughts — it’s St. Bernadette’s birth name, and I love that Bernadette can be a nickname for it. But then I was thinking about Marie-Azelie too (the birth name of our new St. Zelie Martin, St. Therese’s mom). Which made me think about St. Therese, who was born Marie Francoise-Therese, which I love, or maybe just Marie-Francoise or Marie-Therese. Or maybe Marie-Beatrice, for Mom? Really, I would be happy preceding any of my other ideas for girls with Marie-. It would also be a different way of continuing the tradition of having Marie in all the girls’ names. I also took a look at some names that are currently popular in France, since I don’t really have any idea — there’s a good chance that all of my ideas above are considered outdated or unattractive by the current French population. Even though it was written in December 2013 (so not totally current), I really liked this article: French Baby Names: Trends and Predictions 2014. Of the author’s top twenty list, I really liked Lilou, Maëlys, Juliette (yay! One of the ones I listed above! ), Romane, and Louise, and then the author mentioned “retro first names like Louise and Suzanne,” which made me want to add Suzanne to the list as well. I also love Lola from the list, though it doesn’t feel right for this family, and I love Manon too, but it’s a diminutive for Marie right? So if they were to use it, I would imagine they’d prefer it as a nickname for a Marie-[something] name instead of a given name on its own. I love Dermot. It’s got a cool sound and rhythm, and some blesseds and saints too. I also had the opportunity to hear author and donkeyman Kevin O’Hara speak recently, dear friend of my mom’s (that’s him on Mom’s blog with Finney the Leprechaun — the eleventh photo, to the right of Fr. Bede‘s pic!) and he said he has three brothers — Jimmy (I think), Mickey, and Dermot — which is one of the things I love about Irish naming, that names like Dermot can reside happily in a family with names like James, Kevin, and Michael. Or Liam, Fintan, Thomas, and Callaghan, as it were. Lots of people are loving Declan these days, me included. Like Dermot, I just love its sound and rhythm, and it has the possibility of the cool nickname Deck. St. Declan was a pretty great guy too. I can’t tell if I think this is too close to Callaghan or not, especially since it would immediately follow Callaghan and not have the benefit of a few kids in between, but it’s a name I love, so I’ll throw it out there anyway. My grandfather was born in Cobh, Co. Cork, and the church there is St. Colman’s Cathedral — he was baptized there, and was an altar boy there, and I imagine I have family members who were married and buried there as well. And Cole is a fabulous nickname! I was inspired to include Tadhg because of boy #3 Thomas: I have a devotion to Bl. Thaddeus Moriarty, OP, a Dominican priest who is one of the Irish Martyrs (for being a priest), who was beatified by JP2, who was also known as Tadhg, because Tadhg is sometimes anglicized as Thaddeus. The Thomas connection is that Bl. Tadhg had a brother who was also a Dominican priest, named Thomas. How cool! (Read more about him here, here, and here.) I could also see Thaddeus with a “nickname” of Tadhg working as well. Or just Thaddeus with no Tadhg at all (I know a little Thaddeus nicked Taddy, so cute!). One of my name books, Oxford Dictionary of First Names, says that Maolra is a “[m]odern spelling, common particularly in the west of Ireland, of earlier Maoil-Mhuire ‘devotee of Mary.’ It has been anglicized as Myles.” It’s an Irish Marian boy’s name! Love it! Those are my ideas for a hypothetical ninth sibling for Pauline — what do you all think? Do any names come to mind as being perfect for this French-girls/Irish-boys family? Pauline added, “I’ve also attached our awkward family photo just so you know we’re real people.” Haha! Thanks so much to Pauline and her mom and their beautiful family for all this great info, and happy Thanksgiving to you all! The daughters all go by nicknames, which are adorable! I know I’ve said it a million times before, but my paternal grandmother and her sister were both Mary ____ and went by their middle names; all six of my dad’s female first cousins on his mom’s side (from two different families) are Mary ____ and go by their middle names; and my three sisters and I all have a Marian name as either our first or middle. I never tire of hearing about Marian names, or different ways of working Mary into a name, or families with lots of Mary names … I love them all! Yesterday’s post about the Campos-Duffy family prompted me to look more into what people think about repeating names among siblings. If you remember, they used Pilar (one of my fave Marian names!) as a middle name for three of their girls, and Margarita as a middle for one girl and a first name for another. I’m just noticing too that they used Jack as a middle and John-Paul as a first (it’s the John connection that I’m finding interesting between them). I know a few people who gave multiple children the same middle name — one family gave all the girls the middle name Marie, and two other families I know gave two daughters the middle name Catherine (but not all the daughters). There does seem to be a difference between giving all your children, or all your children of the same gender, the same middle name vs. only giving some children the same name and not the others. I was particularly intrigued by the second bulletpoint — I think a lot of people might load up all their fave names at the front end of their family because of not knowing how many they’ll have of one gender — or how many kids they’ll be blessed with overall — and not wanting to miss out on using a beloved name. And we’ve seen how at least one Catholic royal family reused names with abandon, and not necessarily because of infant/child death. I’m not sure what I think about the first bulletpoint. Probably that kids (big and little, adult and not) get in a huff about a million things that parents don’t think they will, and don’t get upset about things parents were sure they would … if I’d chosen to do this with names, my approach would probably just be to be sure to always positively talk about the choice we’d made — make a big deal about how wonderfully meaningful it was meant to be and a choice given in love — so at least if the kids hated it later, they would know it wasn’t done to upset them. And then pray for the best! In the case of the Campos-Duffys, their repeating of names is so exuberant — one of you used the word “confident,” which was so great — that it really strikes me as not that strange at all. And the gorgeousness and saintliness of the names they chose makes me think of that royal names post — each one is sort of decadent and fabulous, really beautiful choices. What do you all think? Would you (have you?) use one child’s middle name for another’s first name? What about other types of repeating — using the same middle name for all the children, or all one gender, or the names of lost babies (miscarried/stillborn/died when they were older) being given to younger siblings? 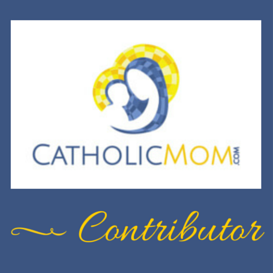 Do you all know the blog Catholic All Year? Kendra’s the blogger and she’s got a lot of good stuff to say, but I didn’t even realize until recently that she was nearly due with her eighth baby (I didn’t even know she’d had a seventh!) so clearly I haven’t been as faithful a reader as I thought I was. Congratulations to the Tierney Family, and happy birthday Baby Mary Jane! !